A MESSAGE FROM JAN TRADING CO. Since 1999, we have established and maintained our business model that has focused on the customers interests, and which have earned us our current reputation and growth. We are constantly working on developing new means, resources and tools to meet customer demands. 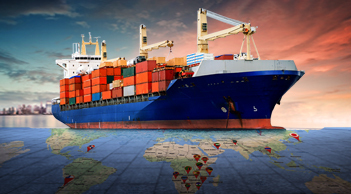 Unique methods and tools are provided to our partners overseas who choose most advanced, honest and reliable service. We offer them opportunity and means for them to freely and safely choose all vehicles they need. 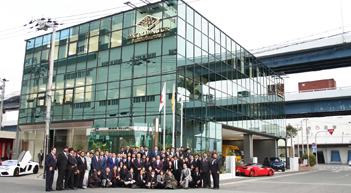 Our staff in Japanese offices and auction sites are working hard to provide high quality cars and services. They carefully examine each lot to avoid purchasing of dented, rusty and problematic vehicles. 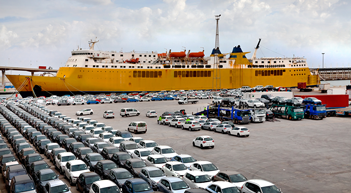 To assure fastest delivery, the purchased vehicles are loaded into containers by highly skilled people on the same day. High quality materials are used to protect the vehicles from damage during the delivery period. JAN TRADING CO continues to work on developing and further improving services and the imagination is the only limit. We will continue to provide the best quality cars and competitive prices and conditions. 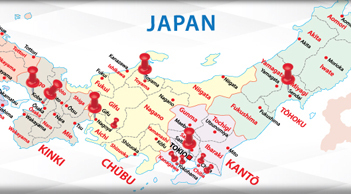 We are expanding to more countries and reaching out to more customers who is looking for lowest prices and a reliable partner. We are continuously working on developing and utilizing the newest technologies to meet customer satisfaction. Copyright © 2019 JAN TRADING CO. All rights reserved.